Our Horse Saddlery is highly famous and is demanded highly all over. We offer an exclusive range of Horse Saddlery which is highly appealing. Our range encompasses of Leather Horse Saddlery, Western Horse Saddlery etc. One of the best colors can be availed in our Horse Saddlery. We use the best materials to manufacture them especially the finest quality of leather and also with the best machinery possible in our own manufacturing unit at Kanpur. We offer these Horse Saddlery at competitive prices and also deliver them well within the stipulated time. 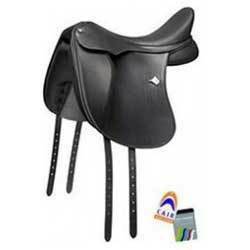 We have also become one of the well known manufacturers and suppliers of Horse Saddlery in India. IQRA INTERNATIONAL are a preeminent manufacturer, supplier and exporter of an exclusive range of products. Our company was established in the year of 1998, under the guidance of our CEO Mr. Mohammad Yunus. We offer Finished Leathers, Hand Knotted Woolen Carpets, Horse Saddlery, and Brown Leather Shoes. Our products are of very high quality and are demanded all over on a large scale. We are one of the distinguished shawls Hand Knotted Carpets Manufacturers and Exporters from India.